The extent of Celtic’s contribution to the Scottish economy has been set out for the first time by a new independent report by the Fraser of Allander Institute at the University of Strathclyde. The economists estimated that the spending of Celtic and its supporters was worth £165 million in 2016-17 to the Scottish economy, helping to support the equivalent of 2,820 full-time equivalent jobs in Scotland. The study identified Celtic as the 25th strongest brand in world football. Other studies have estimated golf tourism’s contribution to Scotland’s GDP is around £155 million each year, while the one-off economic impact of the Commonwealth Games in 2014 to Scotland was valued at £125 million. 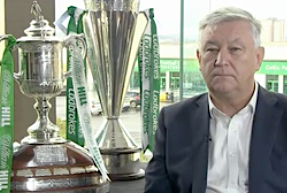 Celtic CEO Peter Lawwel said: “We commissioned this research because of a feeling that the economic contribution from football in general, and Celtic in particular, is consistently under-valued. Professor Graeme Roy, Director at the Fraser of Allander Institute said: “This study tracks the contribution of Celtic and the spending of their supporters on the Scottish economy. “Our survey of supporters – including season ticket holders, international visitors and match-day spectators – was one of the largest that we have ever undertaken. “What is particularly interesting from our findings is the value of international spending that is attracted to Glasgow via Celtic. “This acts as an ‘export’ for Scotland boosting jobs and supporting growth.